Our most popular Mystery Quilt pattern to date! Two-color quilts are classic, and our step-by-step instructions allow you to make this quilt with ease. Choose two contrasting fabrics, and you're on your way! This Yankee Pride exclusive was our Mystery Quilt for Fall 2011. 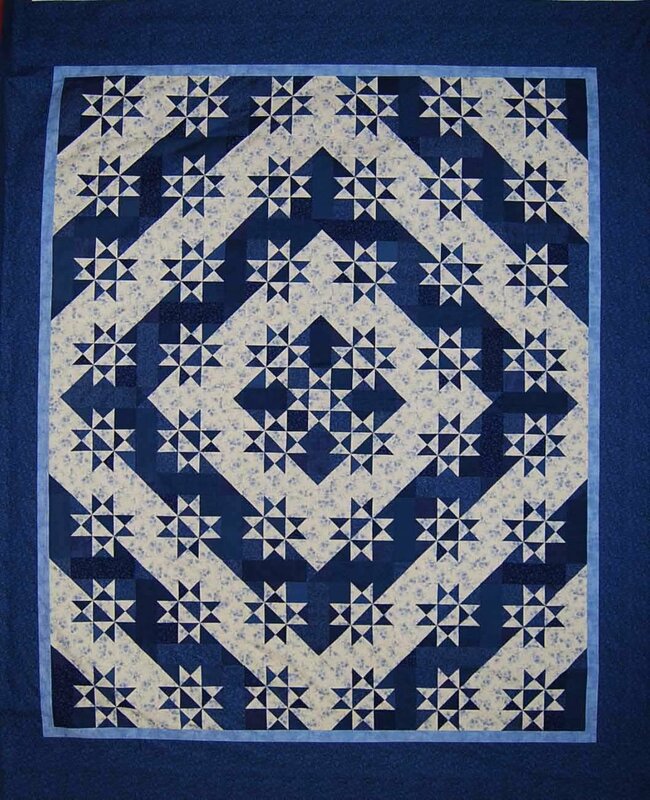 Owner Judy Thomas designed and made the original quilt, which was raffled off at the Vermont Quilt Festival in 2012. A classic 2-color quilt, it can actually be made with up to 10 different fabrics, if you're looking for something a bit more scrappy. This quilt can be made in three different sizes: Wall, Throw, or Queen. Click here for information on yardage requirements and fabric descriptions.